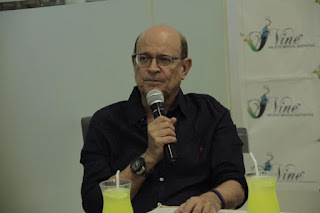 This month of July is the celebration of National Wellness month and Robinsons Supermarket celebrates a month long celebration as they call it Wellness Festival. This is their third leg of its year long route to Wellness journey as they do this annually with Filipinos. 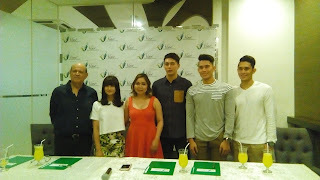 The kick-off of the festival was held at Eastwood Central Plaza last June 23 to 25 and hosted by TV host, Robi Domingo. The whole park was transformed into a mini city where guests can try different stations as well as booths from the partner sponsors. There's the Bicycle Tour or Pedestrian Rush. Customers are also have a chance to try the course set up by the Ninja Academy. Celebrity fitness coaches Jim and Toni Saret was also there and led the guests and shoppers in their four minute workouts. The event was also presented an opportunity for Robinsons Supermarket to pledge pounds to the Fit Filipino 1 Million Pounds National Weight Loss Challenge. Robinsons Supermarket as one of the official partners of the movement identified selected branches as the challenge's weigh-in centers every Saturday. Robinsons Supermarket will also hold its annual and much awaited 10th Fit & Fun Buddy Run on July 2 at Camp Aguinaldo. You too can get a chance to experience the activities as a special wellness caravan will be held in Robinsons Supermarket Tagaytay from July 14 to 16, and at Robinsons Supermarket Antipolo City from July 28 to 30. Not only that, because shoppers can get a Healthy You Snack Platter for a minimum single-receipt purchase of Php 3,000 inclusive of Php 500 worthof participating products from Nestle, Johnson & Johnson, Unilab, Fonterra, Wyeth Nutrition, Unilever, Procter & Gamble, IPI, Abbott Nutrition, GetzBros., Ecossential, Foodsphere, and Philusa. Also, customers will get an extra 15 Robinsons Reward points for every Php 500 purchase of Healthy You products. Promo will runs from July 1 to 31, 2017. Check out the RSC's year-long Route to Wellness series of promos and activities by visiting their website at www.robinsons-supermarket.com.ph to stay updated. 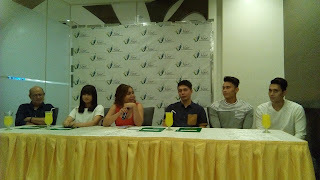 Like them on Facebook at www.facebook.com/RobinsonsSupermarketOfficial and learn more about the #ILoveWellness campaign. We all know that as a mother we never have breaks or should I say, we can not resign to the position that we have. As a mother we are all on call whenever our family needs us especially our kids. I am a mother to Arnie Jet although I am also a mother to my niece and nephew. They grew up with my side and I also consider them as my kids upon they parents abandon them. I became responsible to all their needs. Basically, as part of Tita-Mommy task and a full time mom to my kid. I have a lots of dilemma when it comes of thinking about their future. Of course one of which is their education. Though, I haven't stress out myself thinking what to do in the future. I never thought that I should start giving it a serious thoughts. 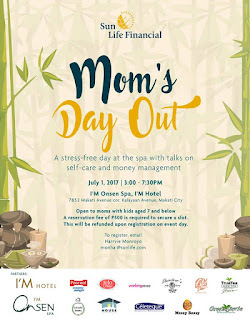 When I got the invites from Sun Life Philippines entitled "MOMS DAY OUT EVENT", an event about self-care and money management, plus a stress-free day treat for Moms in Onsen Spa at I'm Hotel in Makati. I give it a go and I told my self that I need to attend this event. It was a day of learning and stress-free experience for me. I was given a chance to understand the reality of motherhood while learning how to manage our family budget. I learn a lot from one of the speaker, Ms. Michele Alignay about having a balanced motherhood. The additional 10 minutes more for myself is truly worth it and the "I deserved it!" is sometimes needed, not only me but also for all the mom's out there. Also, I've learned valuable lessons about how to take care of myself while prioritizing my kids' future. 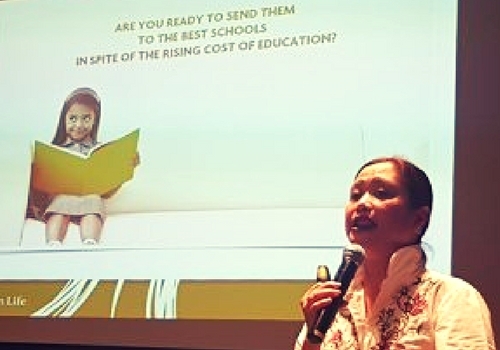 Ms. Mylene Segismundo tell us about How to Build an Educational Fund. It is basically investing for the future of our kids which aims to deal the high cost of college education in the country. With that, I started to realized that what will happen next if a mom like me is not prepared for this. Luckily Sun Life makes us understand what we really needs and they are here to help. After the program, they call out the groups who will be going together for the pampering time. I would say that this is my "Me Time" and thank you Sun Life for the treat. We headed to the Onsen Spa got our locker keys and robes to change. You can have iced cold or hot tea while waiting for your designated therapist. Each mom's who attend the event got their 60 mins. signature massage of Onsen Spa. Afterwards, we went to the Bloom Restaurant to have our dinner. There are lots of food choices. From Asian to Western dishes. 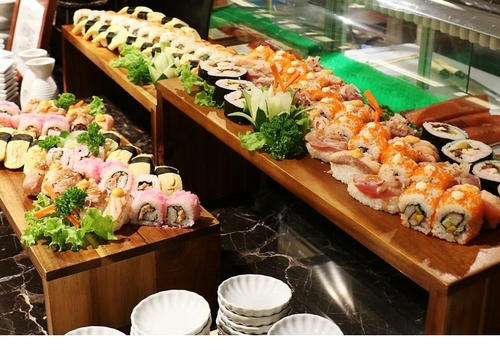 I love the Sushi and Dessert bar. You can have the package of massage and dinner for Php 1,500. 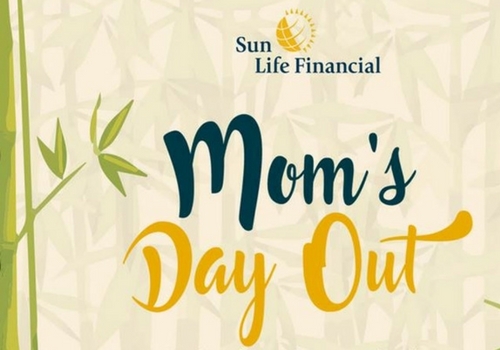 We also take home some goodies from the sponsors and partners of Sun Life such as Working Mom Magazine, Celeteque, Belo Baby , Green Stevia Ph, Theodore's Home Care, Messy Bessy, Sarah's Home Ph, Pascual Creamy Delight Youghurt, Good Bag Ph, True Tea, Sunlife for the TWG teas. It was indeed a wonder experience because I enjoyed every seconds that I stayed in there. 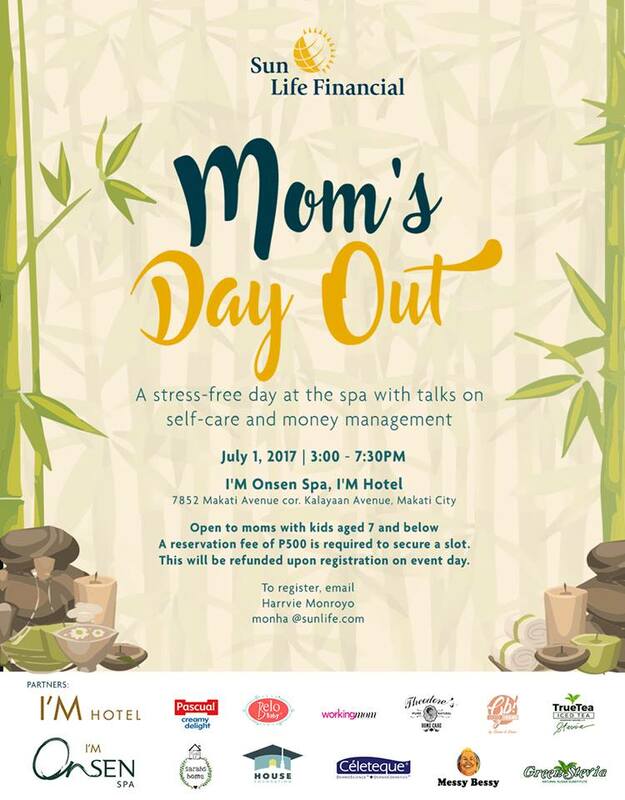 There is another Sun Life Moms Day Out Experience this coming July 1 & 15 from 3pm-7:30pm at I’m Hotel in Makati Ave. The event is FREE. If you are Moms with 7-year old and below, then you can register. All you need to do is share the Sun Life's Mom’s Day Out post on your Facebook page, email Harrvie Monroyo at monha@sunlife.com and mention that you saw it from my blog and that you want to be part of the event. You will just have to pay a reservation fee of Php 500 which will be REFUNDED to you upon registration at the day of the event. For further details on these activities, visit @sunlifeph on Facebook, Twitter, and Instagram. Every girl dilemma is having a breakouts that makes them feel ugly. The confidence and the self-esteem was banish. Every girl wants to have a beautiful skin to be able to present their self in front of others. Breakout problems might go along the way as they grow mature and sometimes it gives not only physical but also emotional damage. I was fortunate enough to meet wonderful people like KG who introduce to me the products that they considered and quoted "No Politics Just Results". I was excited to be in their product launch who held in Imarex Plaza Hotel in Angeles City, Pampanga last week and meet their ambassadors. There are lots of beauty enthusiast, beauty queens from Mutya ng Pilipinas Central Luzon, guest, bloggers, vloggers and media who graced the event. During the event, the founder of The Skin Bureau, non-other than Mr. Jefferey Geronimo was on the hot seat and amicably answered the questions from the bloggers and media friends. The Skin Bureau ambassadors, Ms. Georgina Knight, Ms. Arjane Amante, Ms. Anna Cay, Ms. Ashley Singh and Ms. Seika Hashizume was also game to answer the questions such as "What are their favorites in The Skin Bureau products?" and more. The target market of The Skin Bureau is specifically the Millennials because they think they are the one who needs the products. Although, as early as 13 years old anyone who have skin dilemma can use it. Even men can use The Skin Bureau products because it safe for the skin and every effective. It also caters all skin types. I got a chance to have a set of their products and I love the names of it. I will write another blog post about the product as my review in the future. I like their brand for they have a variety of face and body products that can address the needs of any skin type, including sensitive skin. The Skin Bureau mission is to empowered teenagers, young professionals and adults to have a healthier-looking skin. Imagine they call their soap as President Pretty Soap. The toners are Beauty Queen Party for the day toner and Gorgeous Allegation for the night toner while for the creams are Cabinet of Allure for the night cream and Charming Campaign for the day cream. Kinda pretty political right? However, it is their ultimate facial set that will officially be available in the market on July 1, 2017. The Skin Bureau is a brand of skincare products owned by Nurse Pharmaceuticals. To learn more about their product, visit The Skin Bureau Facebook page at https://www.facebook.com/theskinbureau/. One of my good friend, Viva Verb and her sister Happy Andrada invites me to their celebration of the 10th year anniversary of their business, F*ART. Spending the late afternoon with them, other friends and bloggers who attended the event was really wonderful. During the event, they spread out some notes on about 10 different ways to celebrate with them. 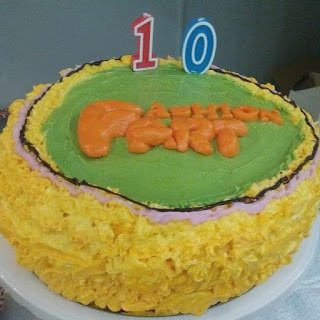 No wonder F*ART reaches their 10th year. There are clothes around us who are for sale, which is designed by the co-owner of F*ART and an international multi-awarded fashion designer. There are also some musical performances from Aia De Leon, Toto Sorioso, Lakbay Lahi, Mat Rabena, Kooky Tuason, Marty Tengco, Marvin Abiabi, Jeff Pagaduan while Mike Unson takes the stage with his stand-up comedy performances. There is also, a poetry reading from Viva Andrada O'Flynn, Grace Nicolas and Ryan Reyes. I have my photos taken with Jif videos by Pose and Print at the second floor. There are also foods and drinks upstairs. I truly enjoy the wine and cheese pairings as well as the cupcakes created by Viva, they are so cute. Blue cupcakes reminds me one of the character from Sesame Streets. It was a blast, too bad we need to home and haven't finish the event but I got some freebies from them. I've got mug, pouch, and key chains that I take home. F*ART Fashion ART is where Fashion meets Art. 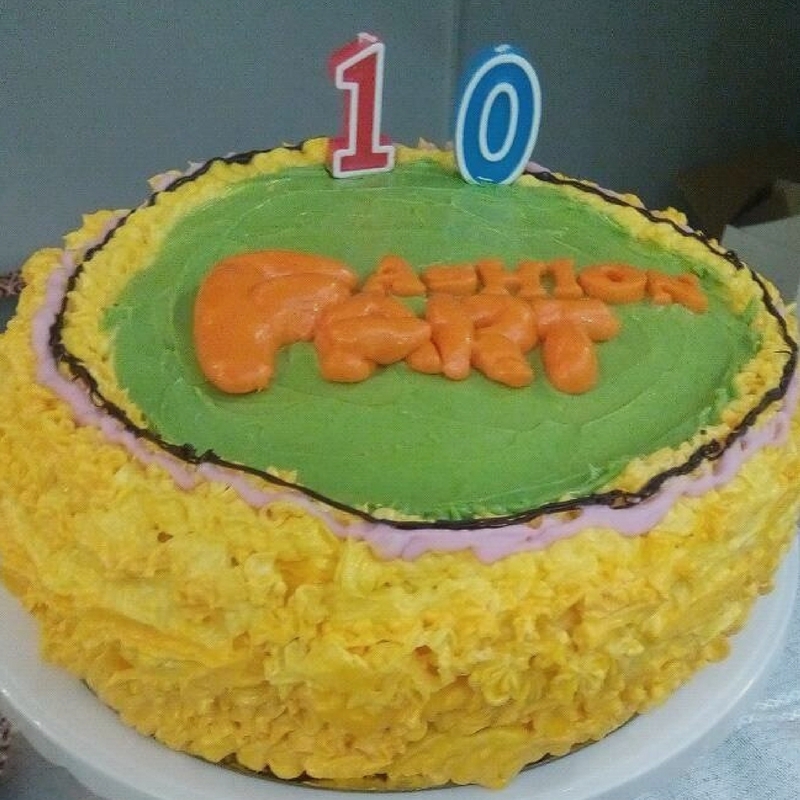 Since 2007, F*ART Fashion ART has been offering funky, fashionable finds that fits for fun fab Filipinos. F*ART Fashion ART is owned by sisters Happy Andrada and Viva Andrada-O'Flynn. They are located at 24 J. Erestain corner K-1st, Kamuning; Quezon City, Philippines. For inquiries, you may call them at +63 2 412 7311. Last June 8 at the Golden Phoenix Hotel, Pasay City where I was invited to be one of the blogger who witness the revelation and the contact signing of the newest endorser of Vine Holistics Medical Aesthetics. The Multi-awarded Dr. Emehly Sevilla, also known as "Doc Em" who is the medical director of Vine Holistic Medical Aesthetics. As the Doctor of Aesthetic and Anti-aging Medicine, she picked a various age of endorser to promote specific services of their clinic. Takako Saito aka "Taki" one of the dabarkads of eatbulaga and recently play a role in morning show Trops. She is the younger endorser who represents the younger generation. 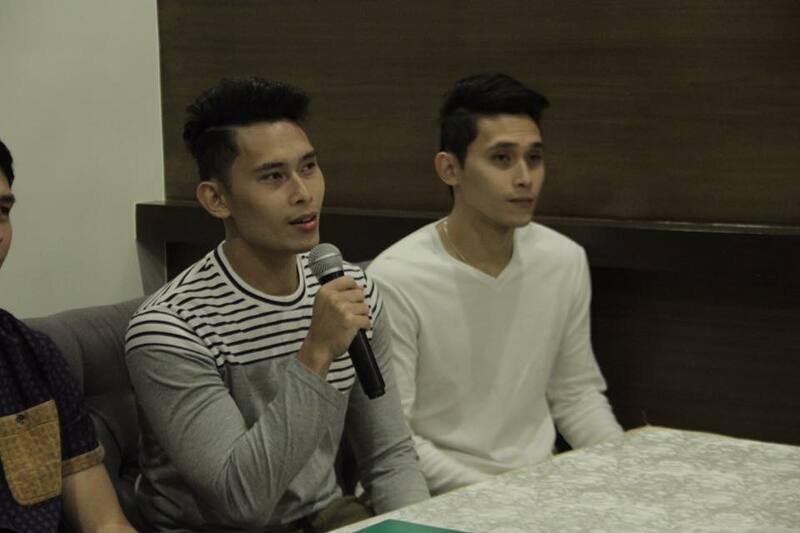 Then the Twins, Kenny Santos and Toffi Santos are part of the Philippine Army of AFP and also been part of the Pinoy big brother as housemates in 2009. They also have contract with ABS CBN's Starmagic and PBA D' League. Next is John LeLouch Wilson is a member of the team in PBA Phoenix Fuel Masters. He is an athlete, father and husband. Being a basketball player he need to maintain his toned body and good skin. Lastly, the Multi-awarded Filipino Actor and Professional Musical Scorer. The well respected Mr. Jaime Fabregas who currently part of the soap opera, Ang Probinsyano in ABS CBN. 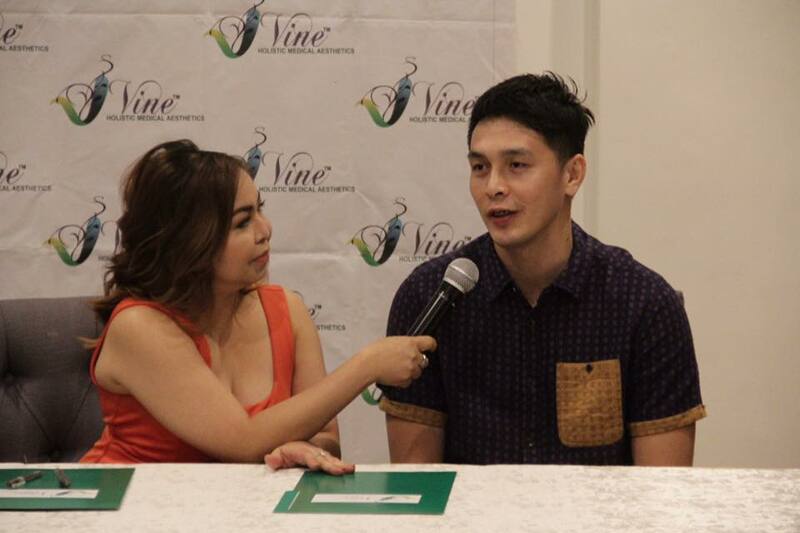 After the contract signing, Dr. Em shares her plans for Vine Holistics Medical Aesthetics. She was hoping to open more branches in the future. However, she also added that they are going to put up a branch in Greenhills with different brand which caters the masses. 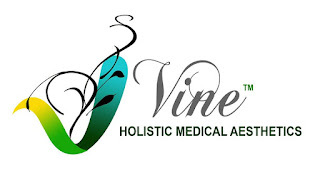 Vine Holistic Medical Aesthetics offers Face Treatment, Body Treatment, Hair Treatment, and Vine's Holistic Balance services. Their philosophy is to show their commitment as the world-class care by providing a caring and friendly environment for our client. "Vine's approach to wellness and medical aesthetics has always been holistic and customer-centric, and made firm with utmost professionalism and integrity based on world-class standards. We don't see it any other way." - Dr. Emehly Sevilla, Medical Director of Vine Holistic Medical Aesthetics. 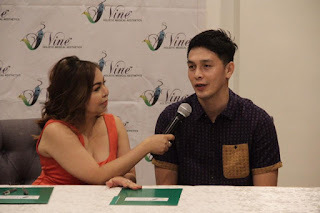 To learn more about Vine Holistic Medical Aesthetics, visit them at their clinic located at Unit 2H Mezzanine Level, The Grand Hamptons Tower II, 1st Avenue Corner 31st Street, BGC, Taguig City. You may call (02) 217 2687 or visit their website, www.vineaesthetics.com for more in information. Please, follow them on social media @vineholistic. Get To Know The Latest Vine Holistics Medical Aesthetics Endorser? 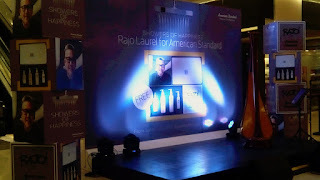 American Standard, the brand known for innovation in bathroom design and technology, partners with its esteemed equal, renowned fashion designer, and a brand in his own right, Rajo Laurel, in a collaboration that brings forth an array of customer rewards uniquely pampering and meant to uplift one’s spirits with a lovely shower experience. The two well-loved brands let customers indulge in stylish showering with American Standard’s multi-tiered consumer promotion dubbed as “Showers of Happiness.” Every purchase of select American Standard shower systems from June 1 to July 31, 2017 entitles customer to premium items, which include a signature Rajo Laurel luxury towel and a Bath Essentials set (consisting of perfume, hand soap, body wash and lotion) personally created and curated by Rajo Laurel for American Standard. Included in the promotion are the three collections of American Standard shower systems individually titled as Enjoyment, Essential and Experience. These shower systems are the heart of American Standard’s philosophy of ensuring that its valued consumers reach the heights of stylish showering. 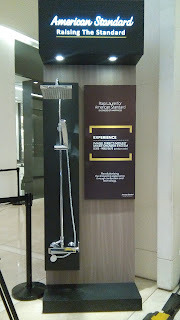 Participating stores include Wilcon Depot, CW Depot, All Home and select outlets of American Standard nationwide. “For the delight of our customers who do not settle for anything less than American Standard, we have made a fitting collaboration with one of the best designers in the Philippines, if not the world, to allow our customers to enjoy stylish showering with our shower packages that come with Rajo Laurel’s fashionable towel and bathroom essentials,” said Mr. Alen Alban, Country Manager of Lixil Philippines, the global conglomerate behind American Standard. 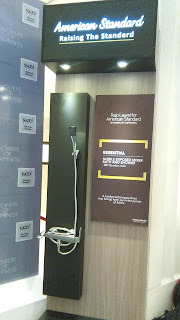 The bathroom product much loved by Filipinos and the world, American Standard lives to raise standards in bathrooms, passionately creating game-changing products that delight and enhance the consumers’ bathing experience. 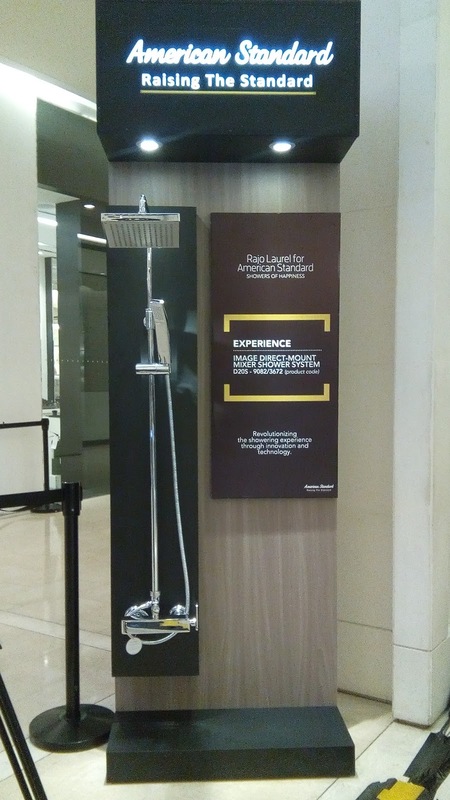 More so when it comes to showering: American Standard appreciates how much a lovely shower can ease away the effects of one’s daily grind, or set off a morning to a vibrant start: for these reasons, the brand delivers stylish showering with shower products unmatched in quality and design, equally beautiful and sensible, pleasing not only to the eye, but indulgent and thoughtful in its features. 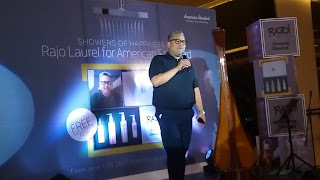 Known throughout the country – even the world, for passion and innovation is Rajo Laurel, who by himself is a brand, equated in the fashion industry for designs that are always new, organic, and sensual. Gifted with an innate eye for beauty, Rajo as the creative genius at the helm of Rajo Laurel Enterprises wears two caps with equal aplomb, that of a fashion guru and a keen businessman. All Rajo Laurel pieces are meant to be viewed as works of art. They are of such workmanship, of such artisan quality, that they make a Rajo Laurel design and creation not only prized but aspired for. 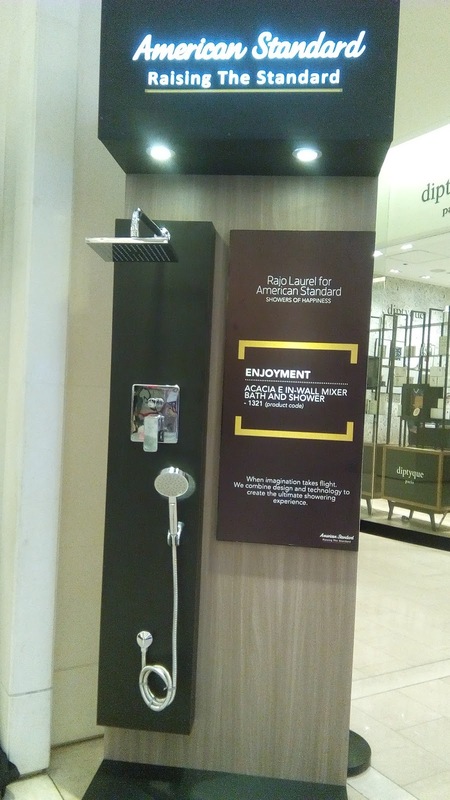 Visit their Facebook page at https://www.facebook.com/AmericanStandardPH/ for more details about American Standard products and customer promotions.